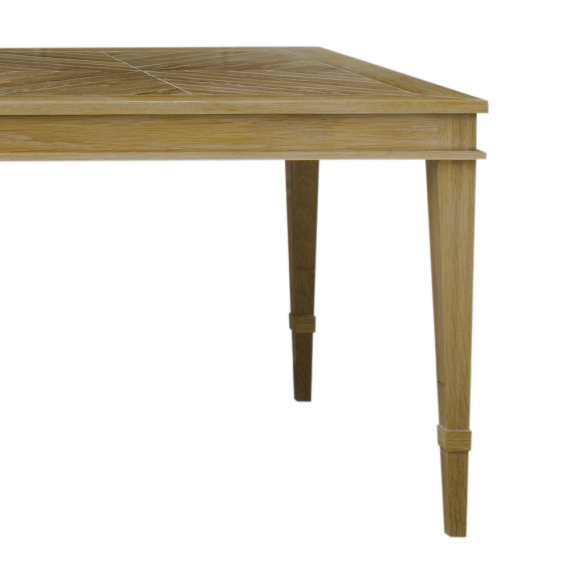 The Astor Dining Table. 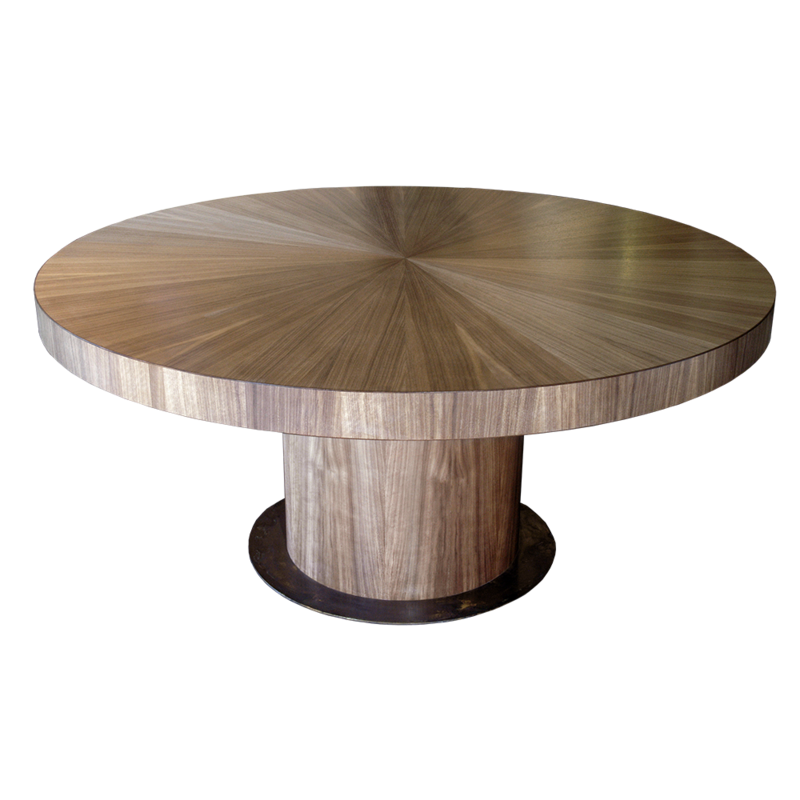 Main feature of the Astor is the drum base and the radial match straight top. 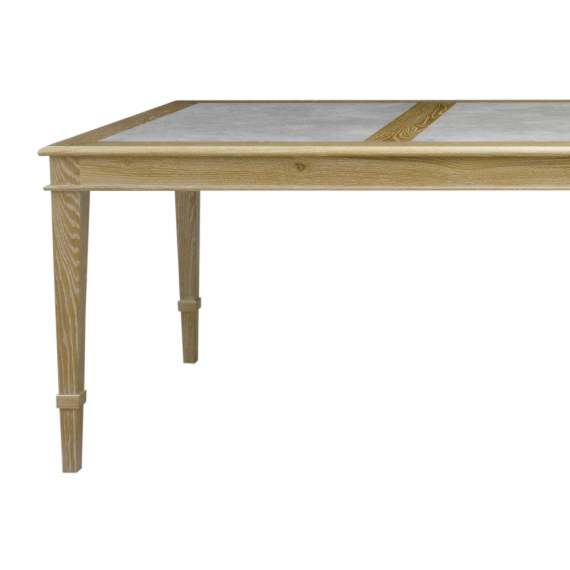 Done in American Walnut, the brass plate at the base gives stability and a contrast that shows an element that is a little bit different. The beautiful lines and shapes of the round top are wedge shapes that are leading into and meeting in the centre. Perfect for an open plan living area to offer a bit more protection to the space. 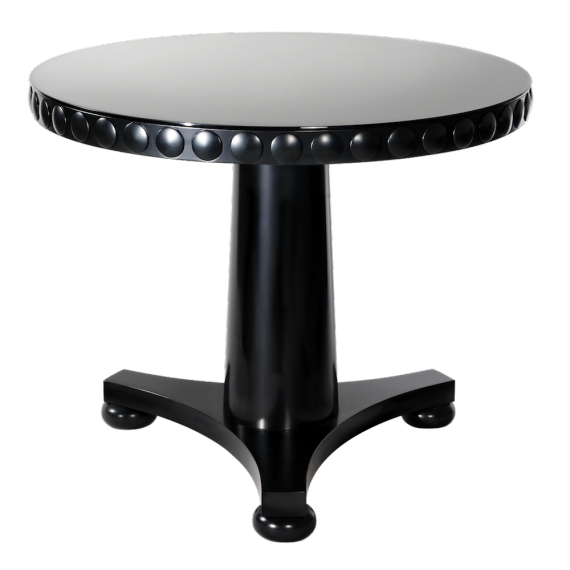 The Astor Round Dining Table is great for seating uneven numbers of guests. Custom sizing and material options available.